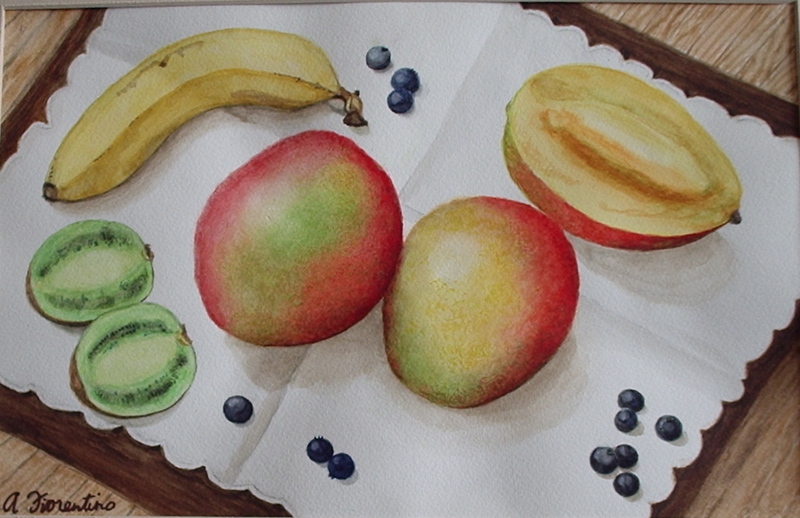 "Mangoes", watercolor 9.5" x 14.5". 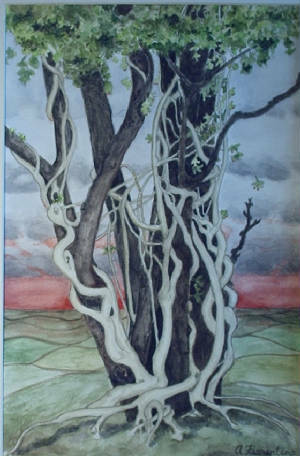 "Cupcakes", watercolor 9.5" x 14.5"
On the grounds of a hotel in Devon, England, I was intrigued by the sight of this tree being strangled by a death-white parasite. Fortunately I had my sketchbook with me. 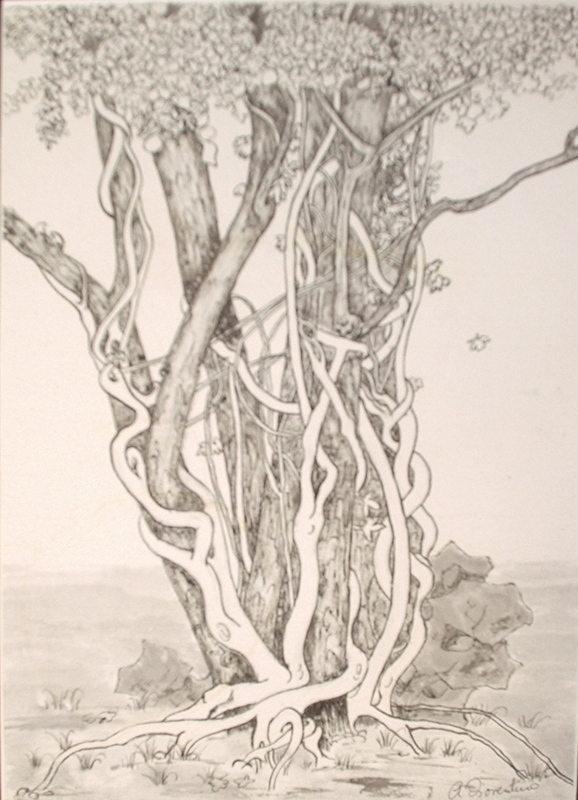 My first interpretation from the sketch was this black & white drawing made with Chinese brushes on rice paper, 14.5" x 10.3". 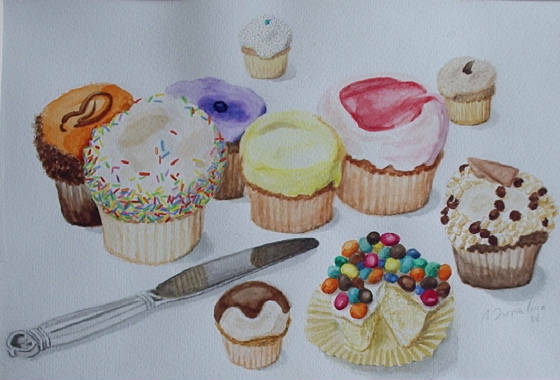 Then I did this watercolor, "Parasite", 14.5" x 9.5".